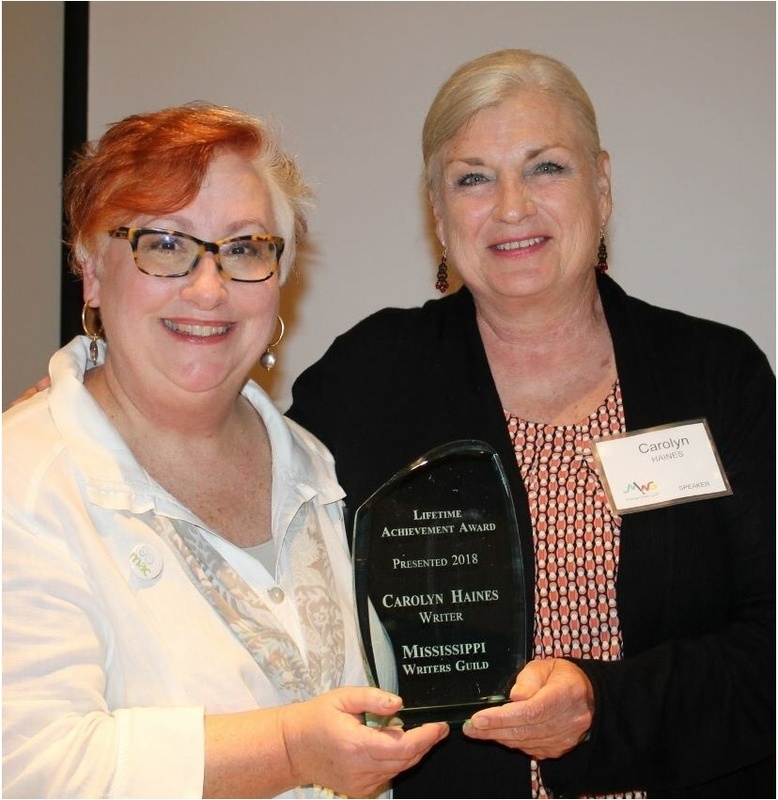 Susan Marquez awarding the MWG Lifetime Achievement Award to me. Mississippi has a long history of contributing to the world of letters, music, culture—you name it. And as you know, I am a big lover of my home state. I truly am honored to receive this award. I partied with good friends Hope Oakes, Dixie Smith, Terry Watkins, Aleta Boudreaux, and fellow speaker Sue Brannan Walker. I’ll try to get some embarrassing photos of them for the next newsletter. I need some blackmail funds! This is a much-needed respite for me. My younger brother has been critically ill and he is finally doing better—good enough for me to sneak away for a night. Keep a good thought for David. One kitten has been placed in a new home. Two others will go to Tallahassee, FL this week. It is so hard, but man did I luck out with these homes. The kitlings will go from a multi-animal rescue to being precious baby chil’ren. Fate was very kind to me with this—it is so hard to place cats and kittens. Thank you, Karma (my little black kitty as well as my earned fate!). Karma plays with the kittens, but she mostly has contempt for them. They have upended her routine. 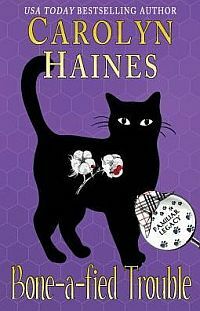 I’m working on BONE-A-FIED TROUBLE—Trouble the black cat detective goes to Zinnia to solve a missing person’s case. It’s been fun—and challenging—to blend the characters from one series into another. That Trouble, he is just too smart for his own good. We’re looking at 2019 for a pub date. And I promise, another Raissa and Reginald is in the works too. 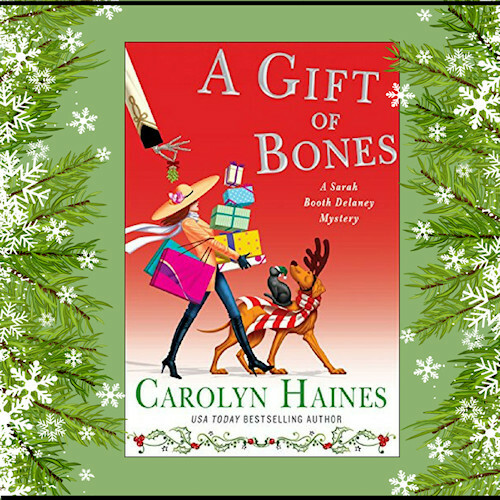 And don’t forget A GIFT OF BONES, which is available for pre-order and goes on sale October 16. Dust off your cameras for the “Take Sarah Booth on Vacation” contest. I have two more ARCs (Advance Reader Copies) to give away. This has been a fierce and creative competition. The photos are really fun and enjoyable so take a look. Don’t forget to check out my monthly giveaway at my website! How about a little summertime Jackson Brown: Running on Empty. I used to play this a lot when I was driving to the Alabama legislature to cover politics for the Huntsville Times. I could sing to my heart’s content and no one would complain.